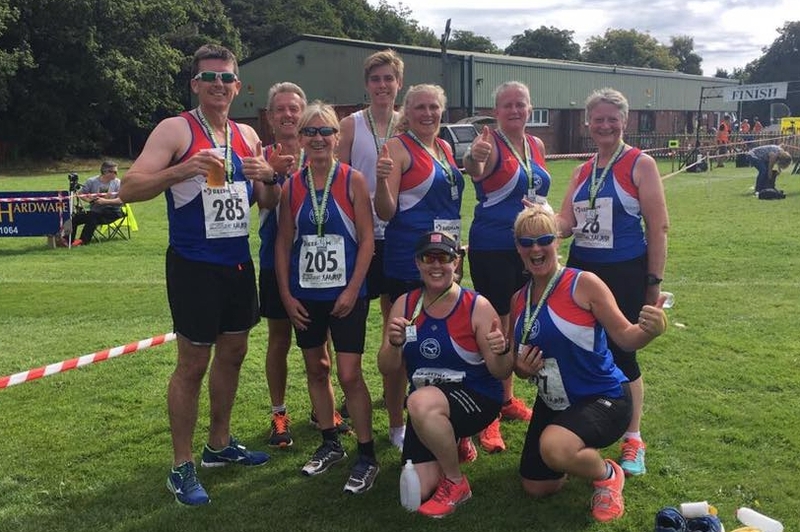 Now in its 13th year, the Reepham Runners Summer 10km race took place on Sunday 27th August. Set across multi-terrain taking in quiet country lanes and the beautiful Marriotts Way, this 10km course is suitable for all abilities. 366 runners started the course on a clear and sweltering hot day. Great Yarmouth Road Runners were well represented by 9 members and 1 soon-to-be member. First home for GYRR was new member Paul Reeve, who came in 89th overall with a very impressive time of 47:59, despite being stung in his mouth by a wayward wasp! First lady home for GYRR was Pauline Leeves finishing in 49:43. PBs were achieved by Vikki Brownsell and Debbie Adams. Debbie knocked an impressive 5 minutes off her previous best. Other runners who gave their all on this very hot day were John Bone, Alison Bilyard, George Brownsell, Adele Godbolt and Anita Betts who all finished strongly with a determination to do it all again next year. Second claim member Elaine Haggarty also took to the course with her usual elegance and gusto wearing her GYDAC colours on this occasion. All who ran on the day appreciated the efforts of the marshals and organisers of this sold out event. Thumbs up. Team GYRR enjoying a post-race celebration.